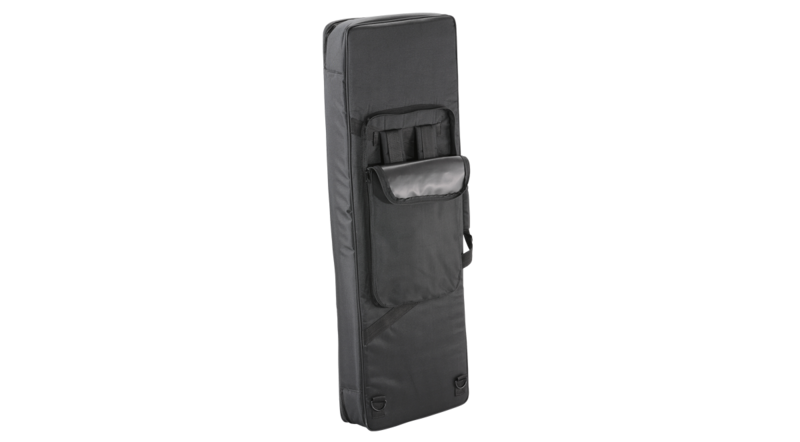 The design allows you to carry the instrument backpack-style or in your hand. 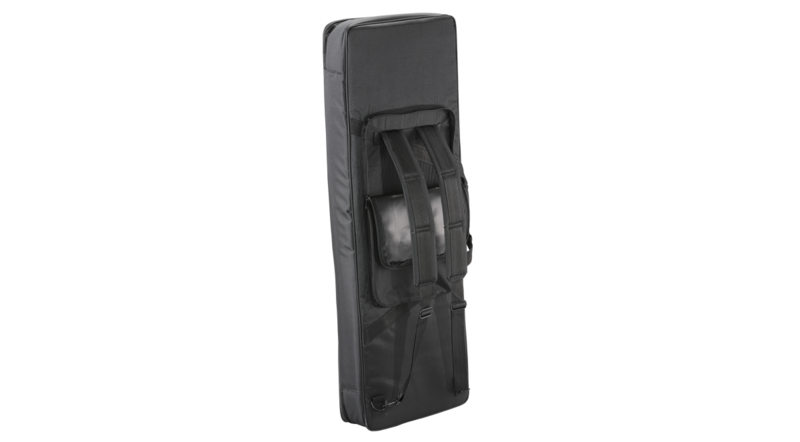 When not using the backpack straps, you can keep them in the rear pocket. 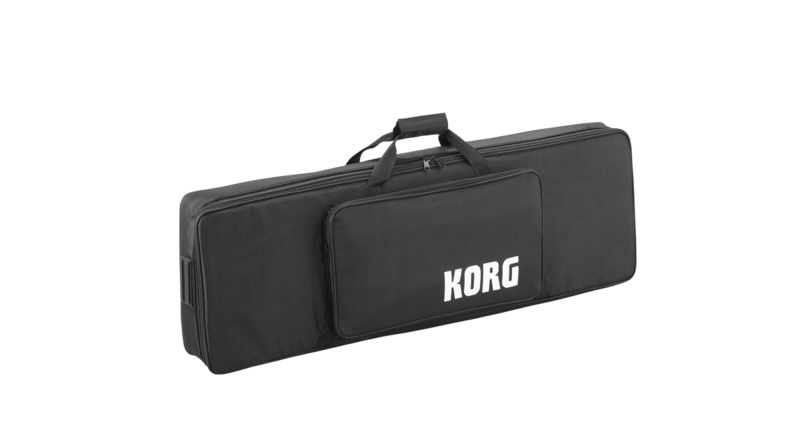 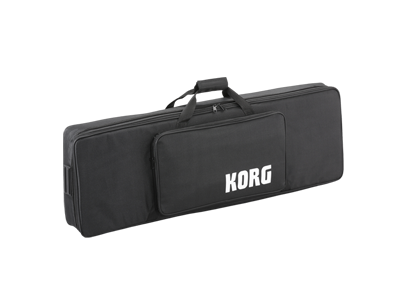 There's also an additional pocket for stowing cables or sheet music.